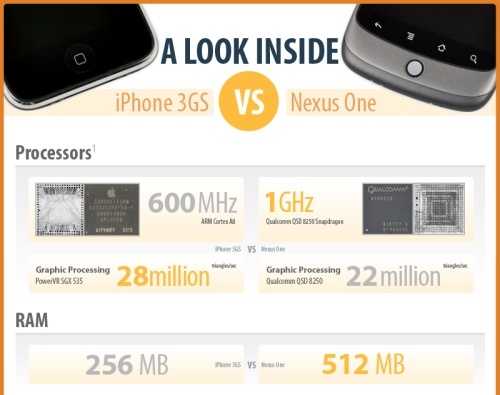 The team at iFixit have created this very useful infographic comparing Google’s Nexus One to the Apple iPhone 3GS. Ever wanted to know what the insides of your favourite smartphone look like or how many steps it takes to replace your handset battery? Now you can. This one is for the real mobile gadget geeks.